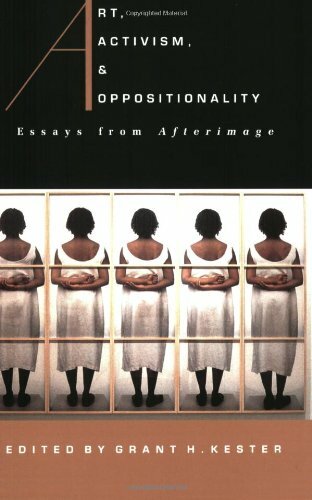 This provocative collection of essays from the Visual Studies Workshop's distinguished journal Afterimage explores the continuing relevance of activist art. Sixteen wide-ranging essays--by sixteen diverse essayists--scrutinize the complex issues of representation and economics that have hounded the art world for the past two decades. Kester ultimately argues that activist art, far from being an aesthetically challenged offshoot of the Conceptual Art movement, represents the highest aspiration of self-proclaimed citizen artists. Insightful and encouraging.